John Ruhlin (@ruhlin) is the world’s leading authority in maximizing customer loyalty through radical generosity. 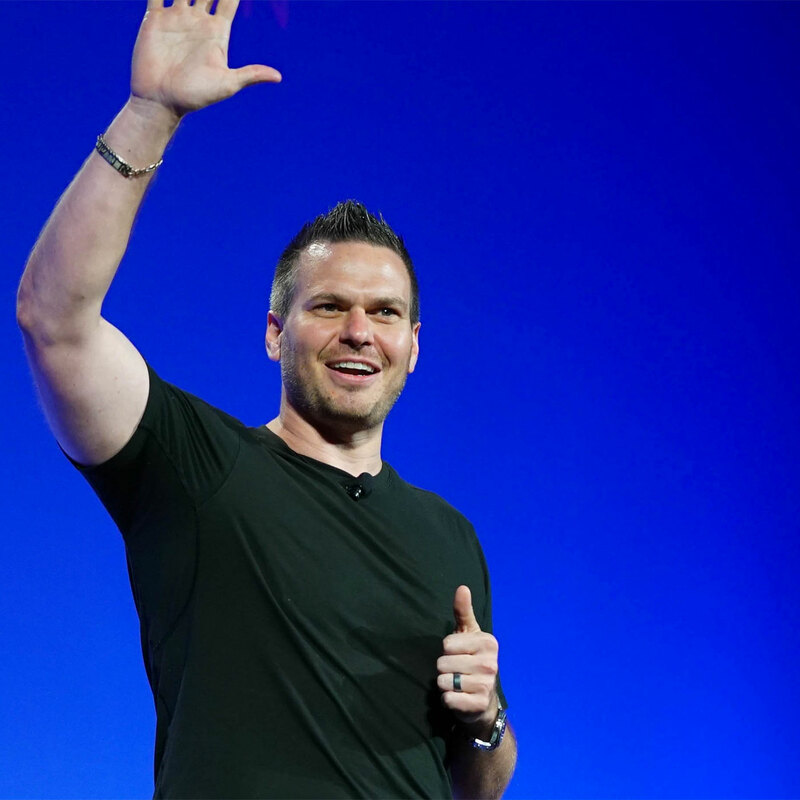 He is the founder of Ruhlin Group, and author of Giftology: The Art and Science of Using Gifts to Cut Through the Noise, Increase Referrals, and Strengthen Retention. Active loyalty versus passive loyalty. Why the timing of a gift matters. How to exercise radical generosity and take gift-giving to a whole new level. Have you ever stressed out about giving gifts that matter? Sure, everyone says “It’s the thought that counts,” but think back to the last time you were disappointed by a crummy gift someone gave you that was obviously picked up at the last minute with very little effort involved in the process. It’s not the afterthought that counts, is it? Now think about what happens when you give a similarly crummy gift to someone with whom you’re trying to build a professional relationship. As someone wise once said, the way you do anything is the way you do everything — so if you’re seen as being lackluster in your generosity, who’s going to entrust you to pull through when money and livelihoods are on the line? 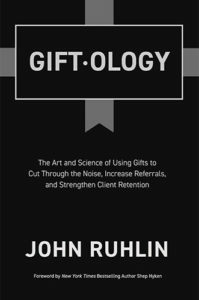 Even if you’re not in business for yourself, the concepts Giftology: The Art and Science of Using Gifts to Cut Through the Noise, Increase Referrals, and Strengthen Retention author John Ruhlin brings to this episode can be applied to any occasion that calls for gift-giving, and any relationship you want to strengthen. If you’re ready to take gift-giving to the next level through radical generosity, then listen, learn, and enjoy! Blinkist gives you access to 2,500+ bestselling nonfiction books, transformed into potent little packs you can listen to or read in just 15 minutes. Try Blinkist Premium free for seven days at blinkist.com/jordan! Avoid trips to the post office with Stamps.com — The Jordan Harbinger Show listeners can get a four-week trial that includes a digital postal scale and free postage by entering code JORDAN after clicking on the radio microphone at the top of the page here! As anyone who’s ever attended a trade show of any kind will tell you: the appeal of corporate swag wears very thin very quickly. Cheap t-shirts, coffee mugs, pens, and key chains emblazoned proudly with company logos are handed out for free to all takers from every table on the floor, but they really don’t count as gifts, do they? Do they make you feel loyal to the businesses that foisted them upon you? “Everybody’s received a gift — or what they think is a gift — and they don’t understand that a gift by its very nature is the antithesis of swag and trinkets and promo,” says Giftology: The Art and Science of Using Gifts to Cut Through the Noise, Increase Referrals, and Strengthen Retention author John Ruhlin. “It’s actually the opposite. If you own a business and you think your clients are loyal, consider how many of them are actively sending you referrals. If you think your employees are loyal, how many of them are actively engaged in promoting the mission of your business and how many of them are simply there to collect a paycheck? “If your people aren’t actively advocating on your behalf, you have a loyalty problem. You have a bunch of passively loyal relationships,” says John. If we want to generate active loyalty among our clients and employees (or family and friends if we’re not in business for ourselves), surface tokens like swag aren’t going to cut it. We have to try harder. If we want to be appreciated and connect with others on a deeper level, we have to express appreciation thoughtfully. Listen to this episode in its entirety to learn more about why thoughtful gift-giving doesn’t have to be expensive, when nothing at all is better than a clumsy plan b gift, why personalization really matters, when giving someone a mug is more memorable than giving them a Rolex or a trip to Hawaii, how to outshine your higher-budgeted competition with more meaningful gifts, why timing is important beyond ABC (anniversaries, birthdays, and Christmas), and much more. Click here to thank John Ruhlin at Twitter!